Neighbor Darcy Lee, a resident of Alemanistan and owner of Heartfelt on Cortland, has a new shop in the works. The new place will be just across the street, in the tiny former storefront at 409 Cortland, near Bennington between Epicurean Trader and Vega. Wanted to let you know that I signed a lease for a storefront on Cortland in our block (409 Cortland Ave). It will be a small shop called Ampersand, and we will carry women’s clothing, accessories, books and good cheer. When I incorporated Heartfelt, the name Heartfelt was taken so I added an “&” and it has brought me good luck ever since. Thus the name. There will not be a ton of books, but I can special order almost any title and for those who like our smattering of clothing found at Heartfelt, there will actually be a changing room! And more choices! We plan on soft opening October 1st, if not before. Promise to keep you posted. Very cool! Congrats Darcy! I love Heartfelt! Looking forward to shopping there! Very exciting! Would you consider carrying some garments for the … Umm.. “Fluffy” among us? Hurray, Darcy!! I have longed for a clothing store on Cortland, especially since Joshua Simon on 24th St. closed last year. Can’t wait to see what you have to offer and have a new store to browse, buy presents, etc. This is momentous! I love Heartfelt and all my jewelry seems to come from your store, Darcy. Can’t wait to see expanded clothing options selected with your excellent eye. I’ll visit any store Darcy Lee opens. And books back on Cortland? Hurrah! 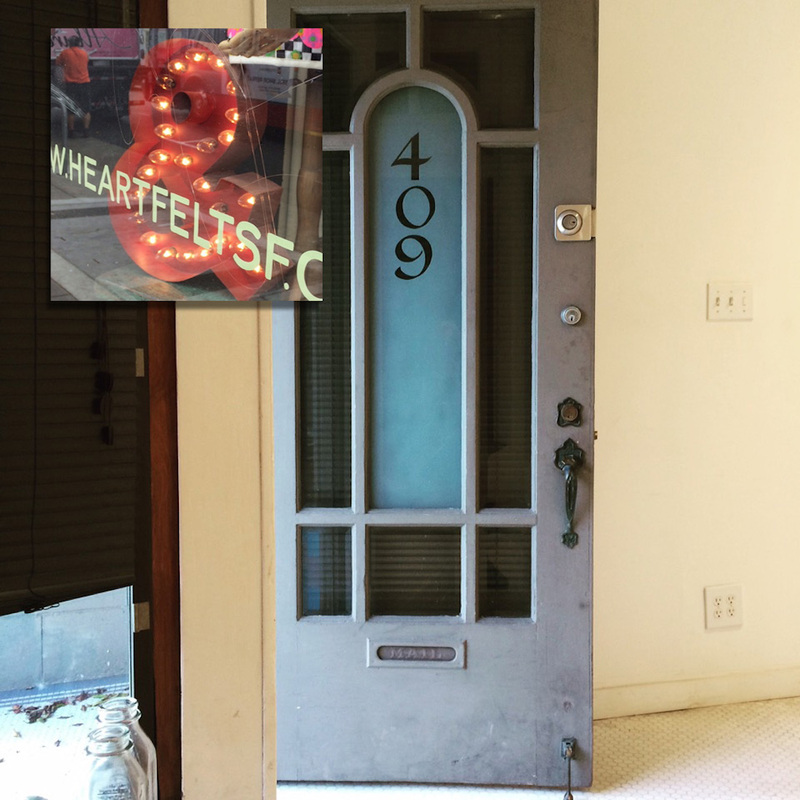 Love heartfelt but there is a flower shop with the ampersand name in the mission.